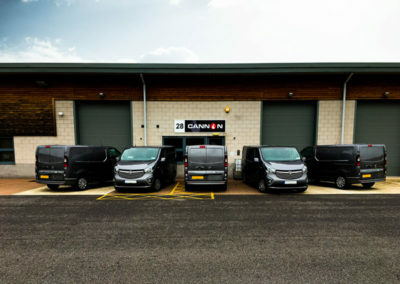 Vans for Cannon by Edström. 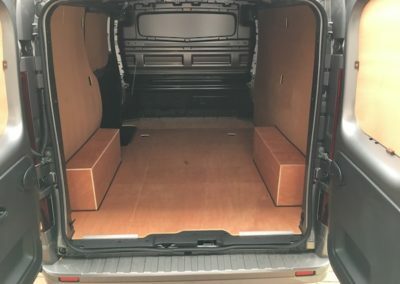 The new Vivaro 5 door, has a 1.6 Diesel engine with a Manual gearbox. 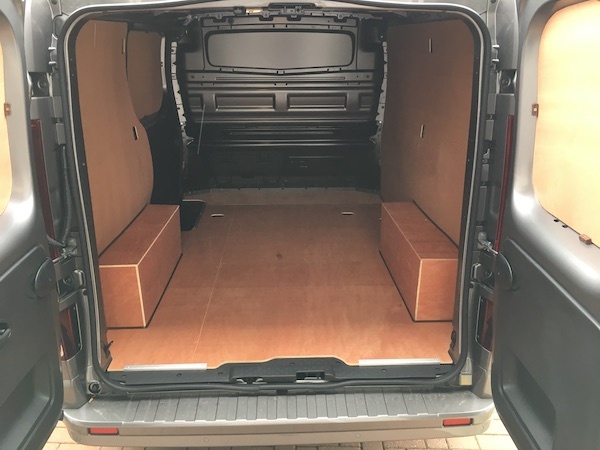 The brilliant new vans are finished in the colour of Cassiopeia Grey. 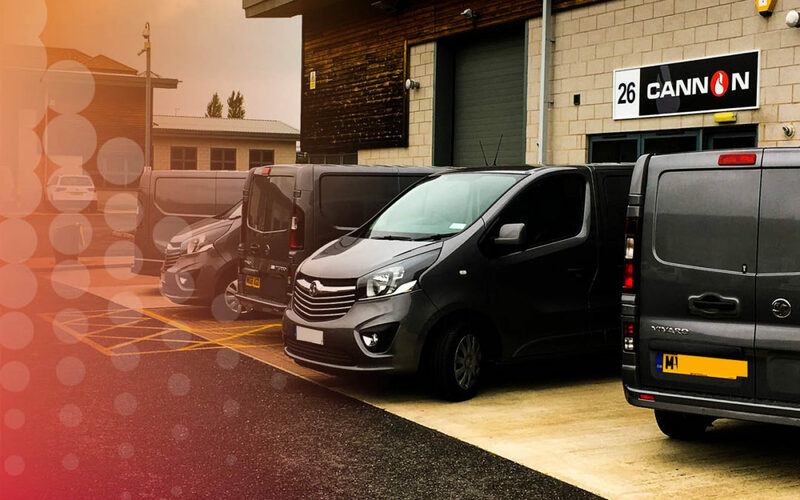 The Vivaro promises a fuel consumption figure of 49.6 mpg and CO2 emissions of 149 g/km, this efficiency is saving fuel and helps Cannon improve their carbon footprint. 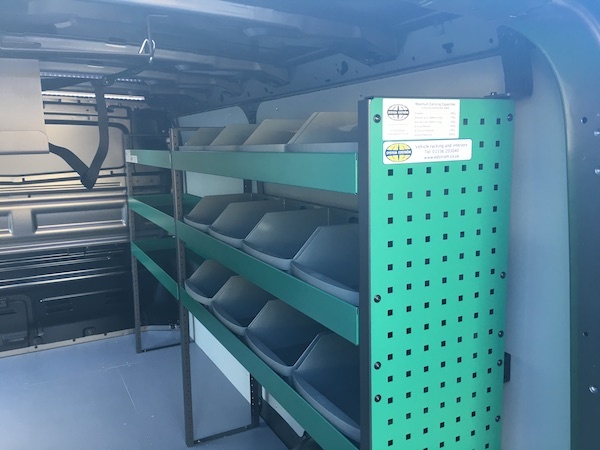 The 7 new vans have been kitted out with Edström systems that will enable engineers to enjoy a mobile workshop that is focused on safety and flexibility. 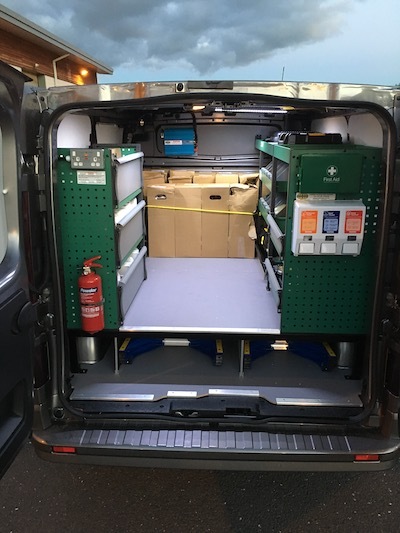 The vans will gain a suite of additional tools to meet all customer needs. 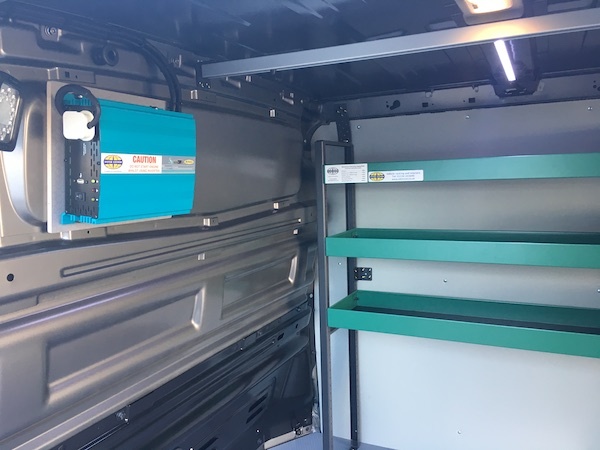 Tools such as mobile-lighting, safety products, power supplies shelves, drawers & gas cylinder holders. These changes will make the workflow of the engineers easier as well as making the overall work more efficient. These vehicles are of the highest specification, both inside and outside. This ensures our engineers travel and arrive safe, relaxed and looking smart. 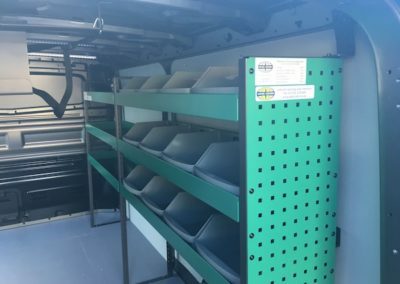 The back of each van has bespoke racking that is fully stocked and acts as a mobile workshop, giving us flexibility to complete all aspects of work on a single visit. The van now has an arsenal of equipment including both spotlights & LED roof lighting. 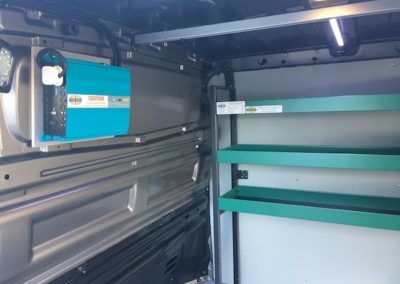 Van now also has a transformer that powers various sockets around that are accessible around the van. Edstöm has also implemented ways of securing cargo so that it remains still when in transit. 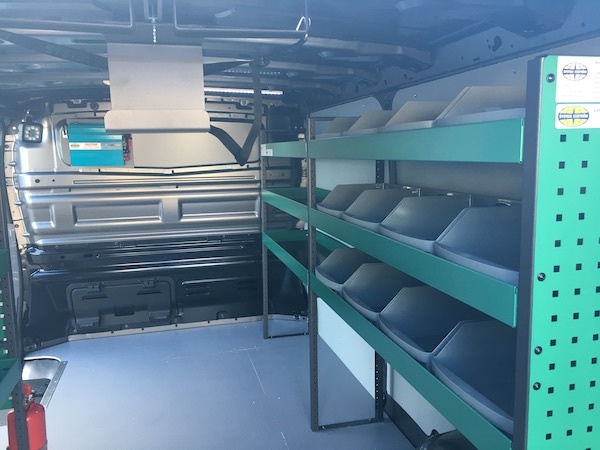 On top of this, there is an extraordinary amount of storage space now being utilized with Ansulex, Nitrogen cartridges, various nozzles and other service equipment can be stored in shelves mounted to the sides of the van. There is even storage under-foot! 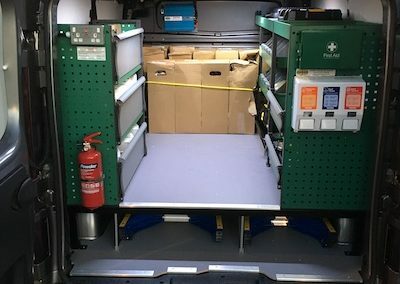 A false floor has been built in for engineers to store larger equipment such as ladders underneath the cabinets. System Edström Bilinredningar AB has more than 60 years experience in van racking and one of the leading companies in Europe that manufacture and sells van racking for vehicles. 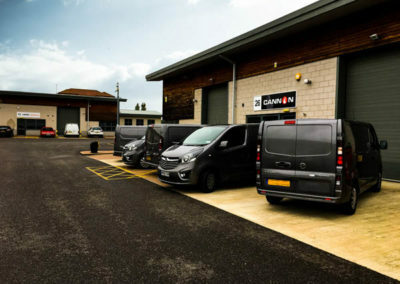 With almost 30 years experience, Cannon Fire Protection has developed an excellent reputation within the fire protection industry throughout the United Kingdom and Europe. For well over a decade now the company has focused on supporting fire industry trade users, providing turnkey solutions for fixed fire suppression. Independent auditing of our quality management systems, contracting and service operations ensures the very best provision of support in our sector. Cannon Fire Protection is part of the Asset Protection Group. Cannon Fire Protection Ltd. & Cannon Fire Sprinklers Ltd are a part of the Asset Protection Group. © 2019 Cannon Fire Protection Ltd. Registered Office: Suite 2, 720 Mandarin Court Centre Park, Warrington, England, WA1 1GG. Registered number: 09304781. 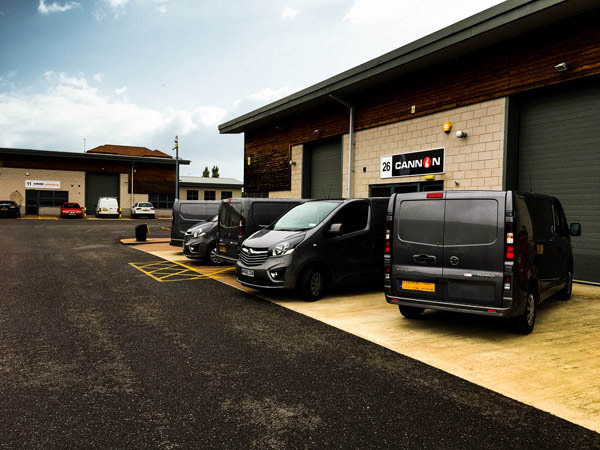 Cannon Fire Protection Ltd. is registered in England and Wales.